So says basketball legend, Pau Gasol. The six-time NBA All Star was the key speaker at a continuous education program organized by the Alumni Association this summer. 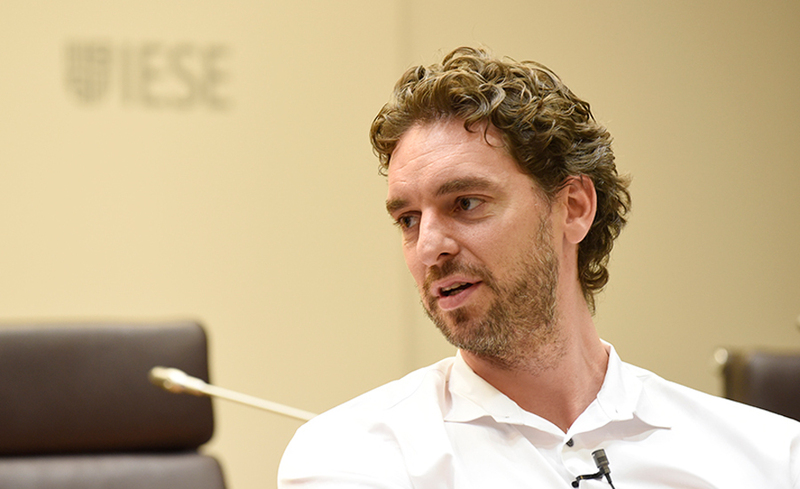 In conversation with Prof. Santiago Álvarez de Mon, Gasol took a look back over his career and shared insightful reflections on leadership, education, social impact and many other aspects related to the world of sports. For 15 years, Gasol has played at the top level of the NBA, where he has won two championships with the Los Angeles Lakers. Quite an achievement considering the average “life-span” of players in the league is four and a half years. So what’s the key to Gasol’s success? It lies, he believes, in his ambition. Far from conforming to the norm, Gasol has maintained and fueled his enthusiasm and passion – qualities that underpin his aim of staying on top for five more years. “Elite athletes have a short road to glory, which is why I want to continue enjoying this gift that life has given me and give my best in and out of the competition,” he said. 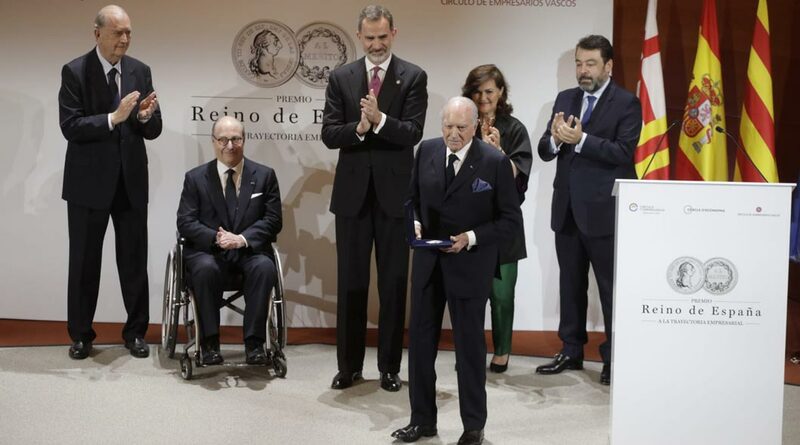 Over the course of his discussion with Álvarez de Mon, author of a case study on Gasol, the Spanish winger stressed the crucial role that education had played in his personal development since his early childhood. 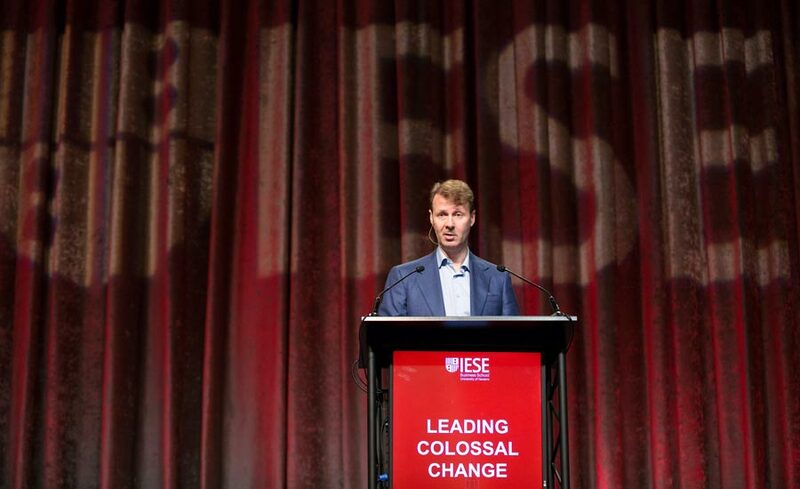 “You need to continue learning – and be prepared not to settle for the something easy. You need to keep your interest alive,” he said. Although one of his earliest goals was to succeed in basketball, Gasol also had other interests, like piano and medicine. Companionship, teamwork, sacrifice, empathy, adapting to change, psychological and mental strength, bouncing back from failures, discipline, work culture, a constructive attitude, learning to lead in uncertain times and how to deal with mistakes – these are just some of the aspects attributed to Gasol’s leadership style. Qualities which are also core to business managers charged with making decisions. Gasol’s career in the NBA started at 21, after coming third in the draft. It was 2001 and Memphis was his first team, where he played for a six and a half seasons. After that he ended up in Los Angeles Lakers, Chicago Bulls and now, at 35, he is starting over with San Antonio Spurs. “It wasn’t an easy decision to make and the selection process was stressful. I weighed everything up before deciding to take the final leap – and I’m happy with the outcome. I believe I can fit in with their style of play, I like their philosophy and they have a winning formula that always pays off at the highest levels,” he said. Despite being surrounded by the best players and coaches in the world, Gasol has managed to keep his feet on the ground. “Above and beyond being an athlete, I am a person. For me it’s important to maintain stability and perspective of who I am – and where I’m going. I’m lucky in that I play basketball and shoot hoops. But that’s it,” he said. Retirement doesn’t enter in his short to mid-term plans – but he knows that sooner or later the moment will come, which is why he believes it fundamental to have other objectives. “I want to continue having a social impact and contributing to the lives of others through the world of sport in one way or another. Sport is an excellent tool for helping people to change and improve and taking advantage of my many years’ experience on the court to help others is a great idea. I love challenges, and want to keep pushing myself even when I retire,” he said. This commitment to society also led him to warn of the Zika virus risks surrounding this summer’s Olympic Games in Rio.